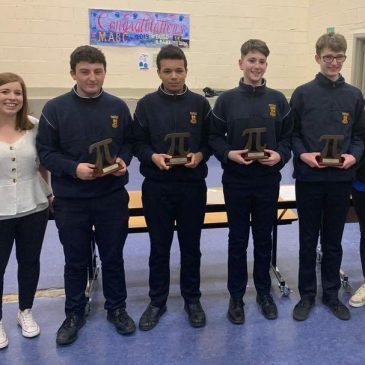 Congratulations to James Choiseul, Justin Cunningham, Ruairí Mullally & Conor Dunne, who fought off tough competition to achieve First Place at this year’s Junior Cert Pi Quiz on Friday, April 5. 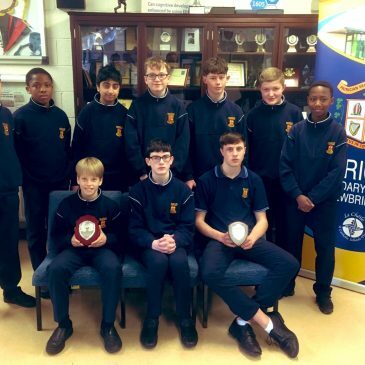 Congratulations to Daniel Vali, who won the Kildare region of the Irish Junior Maths competition – Comortas – & Adam Walsh who finished 3rd. 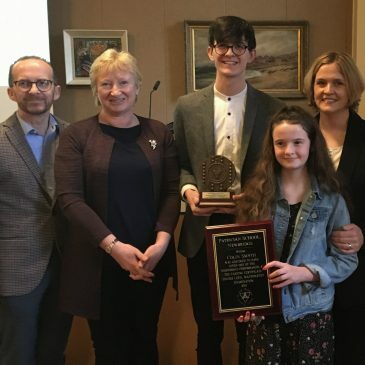 Congratulations to Colin Smyth (LC 2018), who was presented with a “Most Meritorious award for his achievement in the Leaving Cert Maths exam”, in Maynooth University last weekend. 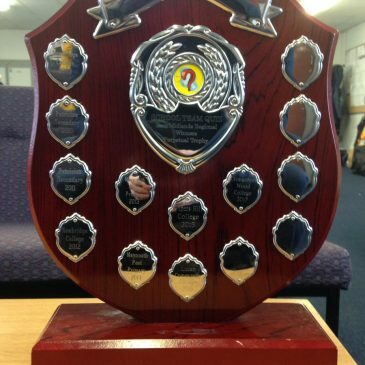 7 students received an award from Maynooth University & U.C.D. this week for achieving an “A” grade in their Junior Cert Business exam. 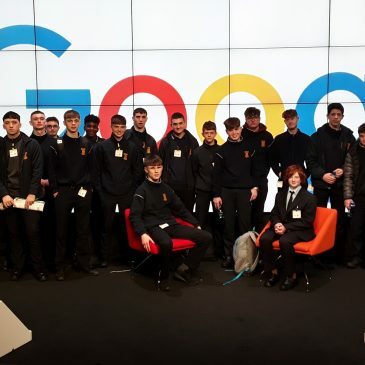 6th Year Business students along with Ms Egan & Ms Killeen got to soak up the atmosphere at Google’s European HQ in Dublin today. Congratulations to LC 2018 students Colin Smyth, Mark Glynn & Edward Bennett, on receiving Entrance Scholarships to UCD, based on their Leaving Certificate results. Congratulations to (L-R): Sean Murphy, Mikael Sedsyv, Tymo Zielinski and Cian Doyle on winning the IMTA competition on Friday March 20. They are pictured with their coach Ms. O’Leary. Congratulations to Colin Smyth, Mark Glynn & Peter McHale who won the IAMTA East Midlands Region Applied Maths Final on Thursday, March 8th.